Tour on Aug. 19th has been cancelled because the minimum number of participants was not reached. 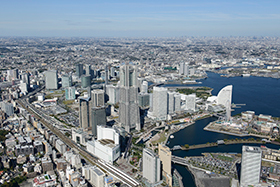 cooling demand in the Minato Mirai 21 district, Yokohama's new world-class urban center. building floor space totaling 3,182,300m². 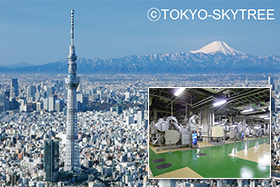 hectares), is undertaken by the Tokyo Sky Tree district heat-supply facility. pile and bore-hole utilization techniques. of the Tokyo Sky Tree, the world’s tallest free-standing steel tower. In Japan, the recovery and recycling of home appliances is obligatory under the Home Appliance Recycling Law. In this tour, we will be paying a visit to a home appliance recovery and recycling facility. In this facility, recovered home appliances such as air conditioners, refrigerators, washing machines, PCs, etc. are dismantled and the various materials are sorted into resource categories, which are recovered and recycled. As well as chlorofluorocarbon refrigerants used in air-conditioners and refrigerators, etc. fluorocarbon insulators and rare-earths used in compressors are also recovered. In this facility, about one million home appliances are recovered and recycled every year. 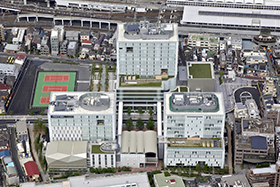 The Tokyo Senju Campus was a project undertaken to commemorate the 100th anniversary of the Tokyo Denki University. This campus employs a universal design, adopting an open and secure environment with ample disaster protection functionality together with large-scale greening and cutting edge technologies to realize a futuristic urban campus that achieves reduced CO2 emissions. The heat-source facilities utilize highly efficient equipment and systems such as turbo freezers, interlinked vertical ice-slurry thermal storage tanks, large temperature-difference air-conditioning systems, etc. as well as effective load-reducing systems such as air-flow windows, automatic sunlight-tracking photochromic blinds, and ventilation and lighting controls optimized according to the number of persons present. In addition, the buildings employ seismic isolation devices that prioritize BCP and earthquake disaster-preparedness measures are in full readiness. As well as the air-conditioning facilities within the campus, this tour will take in the general facilities of the buildings. 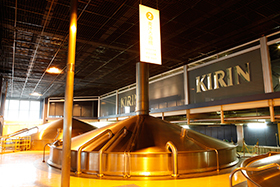 Kirin Brewery Co., Ltd. uses the gifts of nature, such as malt, hops and water, for the manufacture and sales of beers and other beverages, and is one of Japan's leading beverage producing companies. The Kirin Beer Yokohama Brewery was established in “Yokohama", the birthplace of Japan's beer industry. The site, covering an area of 190,000m2 in north Yokohama, is the most historic large-scale brewery in the Tokyo metropolitan area. This brewery produces Kirin's flagship products such as beers and other sparkling alcoholic beverages. This tour will show you around the beer production lines, taking in huge vats 12m in diameter and the cutting-edge energy saving operational management techniques. At the end of the tour, you will have an opportunity to sample some of the freshly made beers. This tour has been cancelled because the minimum number of participants was not reached. 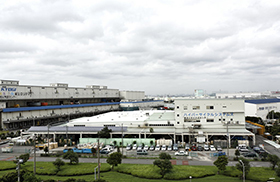 The No.2 Funabashi Plant commenced operations in January 2014 to assume a role in the "enhancement of production structures for frozen foods for home use". The plant is currently producing the long-selling "Mini Hamburger" product, which has remained a favorite since its launch over forty years ago. 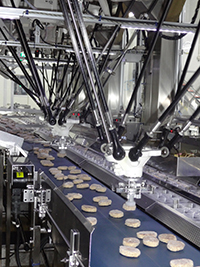 This plant is engaged in efforts to deliver safe and delicious products through efficient production operations that utilize IT and the promotion of automated operations through the use of robots. A pro-active approach to the environment and energy saving is also taken, and all lighting is LED and operational controls that allow flexible responses to multiple freezer and multiple chiller load variation are employed. Participants wishing to reserve tours should apply online no later than August 13, 2015 （extended!) or at the travel desk on site. The tours are sold on a first-come-first-served basis. Application should be accompanied by a remittance covering total tour fare due JTBGMT. *If the remitter’s name is different from the participant’s name or the remittance covers more than one person, please clarify the name of each participant.